Jose Ramirez Barreto will easily go down in history as one of the best foreigners in Indian football. His current season will be the last one he plays for Mohun Bagan. His career for the Green & Maroons is a stuff of legends. Since its inception Mohun Bagan has been an institution in Indian football. From Umapati Kumar to Chuni Goswami, from Jarnail Singh to IM Vijayan, most of the famous players have played for the club. Among these great players some have curved out their niche because of their loyalty to club. They are called ai?? ?ghorer cheleai??? or our own. Goswami, Sailen Manna, Gostha Pal and Subrata Bhattacharya are some of the iconic names in this department. However, for a lot of new generation fans, the term has somewhat lost its significance because of the frequent chopping and changing of squads. Two names stick out in modern era as ai?? ?ghorer cheleai??? ai??i?? Satyajit Chatterjee and another player who earned the title despite being born thousands of miles away from Gostha Pal Sarani. Jose Ramirez Barreto, the Green Parakeet. A modern icon for Mohun Bagan fans. Barretoai??i? ?s career started quietly in Kolkata, somewhat like his nature. During Durand Cup in 99/00 season it was clear that Mohun Bagan needed quality foreigners. Samuel Omollo, Stephen and Dushit were in the team while high profile Uzbek striker Igor Skirivin was also roped in. The fifth remaining spot was vacant thanks to Chima Okerieai??i? ?s banishment. Mohun Bagan initially got in touch with Brazilian transfer agent Silveira to sign Salgaocarai??i? ?s Santos. The agent referred another Brazilian, who he thought was better than Santos but more expensive. Enter Jose Ramirez Barreto. Though Barreto impressed in trials, Mohun Bagan recruiters wanted a Nigerian striker called John. John, who had injured Omollo in practice with his robust physical style, was a like for like Chima replacement. As destiny would have it, Johnai??i? ?s work permit clearance took too long to come and Mohun Bagan decided to sign Barreto. The rest, as the clichAi?? goes, is history. Barretoai??i? ?s journey in Mohun Bagan and Indian football is stuff of folklore. He didnai??i? ?t make his debut in front of the fans who would later idolize him. Instead, his debut came as a substitute to Igor after half hour mark in a NFL game against ITI in Bangalore. The Igor-Barreto combo would lead Bagan to their second NFL crown that year. The following season, the Brazilian played as a positive striker in absence of Igor and scored a handful. His top scoring effort was not enough as Bagan narrowly missed out on the title. A season later, Mohun Bagan came back again. With Barreto scoring crucial goals throughout the season the club captured their third national title (then record) after a thrilling battle with Churchill Brothers. Internal problems in the club dramatically deteriorated Mohun Baganai??i? ?s condition in the following seasons as their champion team was disbanded. Stricken by the condition, the Brazilian left in 2004, to play in Malaysia. After a successful season in Malaysia, Barreto joined Mahindra Unitedai??i? ?s star studded squad. Along with the legendary Yusif Yakubu, Barreto delivered a Fed Cup-NFL double to the Mumbai club, first in their history. In 2006, the apple of Mohun Bagan fansai??i?? eyes returned to the club once again. He was reportedly offered an amount of Rs. 60 lakhs, then record in Indian football. Barreto would not leave Mohun Bagan again till 2012, current season. It can be said that his second stint in Mohun Bagan was not as successful as first one. While he won several Kolkata League and Federation Cup titles, Barreto did miss out on the all elusive I-League crown. He is the first foreigner to score over 200 goals for a single club in India. Barreto also has notched up 100 goals in Indiaai??i? 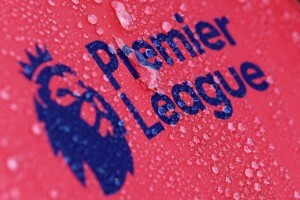 ?s premier league competition. With 17 goals Barreto is the second highest scorer, highest scoring foreigner as well as Mohun Baganai??i? ?s all-time top scorer in the famous Kolkata derby. Baichung leads the tally with 19 goals but Barretoai??i? ?s 17 goals is also the highest scored by a player for a single club in the derby. However, Barretoai??i? ?s career should not be judged on numbers but theAi? ?fond moments theAi? ?Brazilian has provided over the years. The goal he scored against Salgaocar in his first ever encounter with the Goans, dodging past four defenders before looping the ball into far post. The wonder goal against Iran youth team in 2001 Rovers Cup. The famous goal scored on 25th January, 2002 (greatest in YBK history according to reporters) against Churchill Brothers in Salt Lake Stadium, when he floated the ball over Mahesh Gawli before twisting his body into a side volley in a split second. His goals in derbies, including the brace he recorded in a 2-0 win in 2007.Ai? ?The crucial equalizer against East Bengal with Sepp Blatter watching from the stands.Ai??Barretoai??i? ?s stellar performance in Mohun Baganai??i? ?s 4-3 thrashing of East Bengal in 2007 and his tears after being subbed out due to injury in another epic 5-3 win in 2009. HisAi? ?bicycle kick goal againstAi? ?United SCAi? ?in 2007 and the flicked goal he scored (after coming back from dengue) against Port Trust in 2010/11 season. His last derby goal in 2011 to prevent a sequence of losses to East Bengal. There are so many precious moments that you can write a book on it. Foreigners in Kolkata football has historically been judged against Iranian Majid Baskar. Baskar, who was part of Iran’s 1978 World Cup side possessed mesmerizing skills which are still fondly recalled. When Subrata Bhattacharya started comparing Barreto with Baskar in early 2000s it was met with ridicule. However, over the years Barreto has won brownie points in this comparison. After one of his trademark performances in a NFL match against Salgaocar in 2001, P.K Banerjee commented that while Barreto didn’t have Majid’s flair, he was ahead in terms of work-rate and scoring abilities. Amal Dutta, a coach who worked with Majid in Mohammedan SC likened him to a bright spark in one of his writings.Ai? ?Barreto on the other hand, he said, was not such a bright spark but a flame which burns steadily. Manash Bhattacharya, an ace winger during Majid’s time wrote that Barreto-Baichung duo could be more lethal than Majid-Jamshid Nasiri combo if they stayed fit. Barretoai??i? ?s work rate, ability to drop down deep when needed and genius of scoring magnificent goals have received universal applause. In terms of critical acclaim, Barreto has perhaps come closest to matching the legacy of Majid Baskar. But Barretoai??i? ?s legacy is not just about the great player that he was. Barreto, the person has also won countless hearts over the years. Despite being the driving force behind his team, Barreto has rarely been arrogant andAi??aAi? ?modest demeanour is one of his hallmarks. A devout family man, Barreto has never been engulfed by off field turmoil like Majid or Odafa. Once he went uninvited to East Bengal club tent in order to welcome his fellow country man Silva who had signed for Red & Gold.Ai?? He has also been a fan favourite over the years and has been known to never turn down the request for an autograph or picture. Such was his effect on fans that a Mohun Bagan fanatic named his son ai???Barretoai??? after the Brazilianai??i? ?s exploits in NFL in 2001. When Mohun Bagan was finding it difficult to raise money to re-sign him in early 2000s another fanatic decided to mortgage his house to obtain money. In 2002, an IFA XI was supposed to go and participate in an invitational Gandhi Cup in South Africa. Hearing about Barretoai??i? ?s popularity the organizers specifically wanted him in the team. In the same period Brazil TV company OGlobo sent a crew to Kolkata to do a documentary on him. 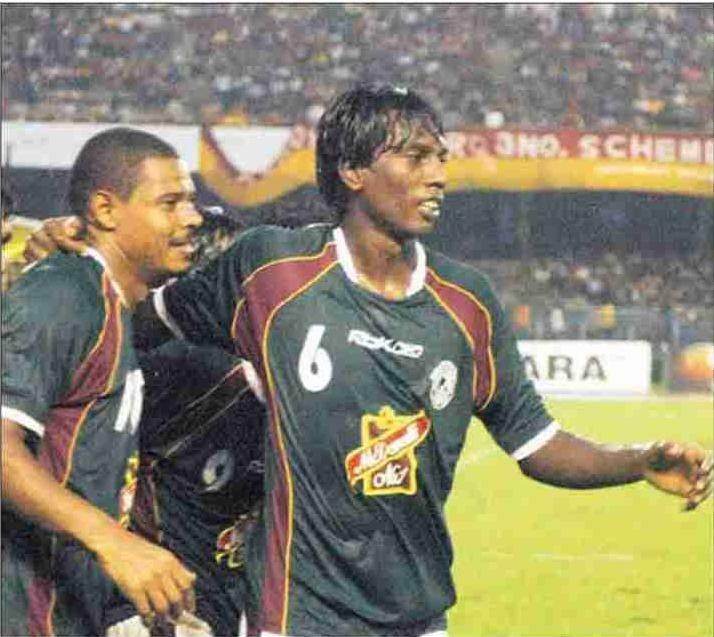 Despite Barreto being not in the club, fans chanted his name when Mohun Bagan captured the KFL title in 2005. There has been a lot of successful and arguably better foreign players in India but none had Barretoai??i? ?s unmatched popularity. He has even won respect from bitter rivals East Bengal. There have been some controversies in Barretoai??i? ?s career as well. The biggest being his run-in with the Kolkata police for possession of undeclared foreign currency. Over the years it has often been alleged that Barreto has used his clout in Mohun Bagan to meddle with club administration. Allegedly, he played a part in expulsion of Karim Bencharifa as well. As his fitness dropped, Barreto has been involved in on-field altercations as well. His decision to play on despite not being at peak physical state has irked some fans. Barretoai??i? ?s loss of form in last 2 seasons has meant that Mohun Bagan essentially played with 3 foreigners all season. Unlike Chuni Goswami, Barreto will not be leaving the game at his peak. Last season, fan anger finally boiled over as anti-Barreto posters were found in club premises. Regardless of how angry fans were, this gesture was certainly disgraceful and something Barreto didnai??i? ?t deserve. Barreto might be leaving Mohun Bagan now but it doesnai??i? ?t necessarily mean end of his relations with the club. It is being rumoured that he might start with his AFC coaching license from next season itself. Thanks to the football academy he runs with Beto, it can be said that Barreto will be staying in India. An intelligent player like him can turn into a good coach in future and who knows, manage Mohun Bagan one day. This may not be an end of the Barreto era in Mohun Bagan but beginning of a new phase of the Barreto era.Ai? ?For now, all Mohun Bagan fans must stand up and applaud one of the their greatest players in unison. Only Okoli Odafa can beat Barreto quantitatively but not qualitatively. Barreto’s class is immortal. Quality ? Who bothers? Immortal for quality is not the order of the day . No better quality player than Chuni Goswami played for Bagan. Will he……. ?